So you've been looking online at real estate and are tired of having your rent go up every year. You've decided to take the plunge into home ownership. Great, but before you start looking, you have to figure out how much house you can afford. It doesn't do any good to fall in love with that place in Cape Cod on a tree-lined cul de sac if you can't afford it. How can you tell if you can afford it? The folks at Trulia say it boils down to understanding four sets of numbers. The first is your credit score. This number tells potential lenders the level of your creditworthiness. A high score -- over 720 -- means you are judged to be a low risk and you'll qualify for a low mortgage rate. If your credit is kind of iffy, you can still get a loan, but the rate will be higher. A higher interest rate will mean your monthly payment is going to be more than it would be if you had great credit. This difference in monthly payment could mean the difference between the house you really want or one you'll settle for. The next number is the amount of your down payment. A traditional down payment is 20% of the purchase price, but if it is your first home then it might be hard to come up with that much money. That's why many first-time buyers use a government-guaranteed FHA loan, which requires only a 3.5% down payment. Some conventional loans now require as little as 3%. If the house you want costs $200,000, you would need $7,000 for a 3.5% down payment. If you only have $6,000 saved up, you might have to look for a less expensive home. If you put less than 20% down you will be required to pay for mortgage insurance, which will add to the cost of your monthly payment. It can be another factor affecting affordability. A third set of critical numbers is your debt-to-income ratio. This is the balance between your monthly income and your other debt obligations, such as car loans and credit card payments. First a lender will look at the percentage your mortgage payment will take out of your monthly income. It will want to see that the percentage is no higher than 28%. 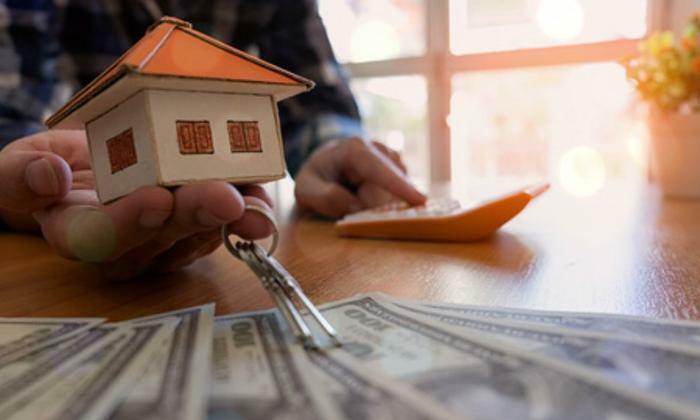 Once your other debt obligations are factored in, the lender will want that number to stay below 36%, although FHA loans will allow a slightly higher debt-to-income ratio. The final set of numbers is the value of your assets. Even though you have an income substantial enough to make the monthly mortgage payment, a lender will also be more comfortable if you have savings and investments you can rely on if you suffer a financial setback. There is no set number it wants to see, but the higher the value, the better.